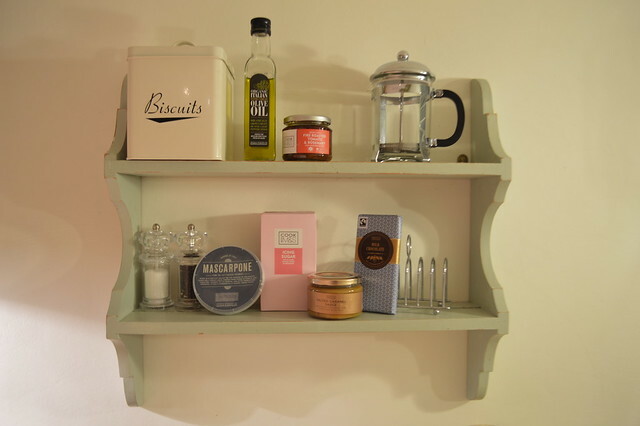 I headed down to Dorset with my boyfriend over the weekend and I was looking forward to using the kitchen and cooking some great food for both of us. It was a holiday though so I didn't want to be slaving over the stove all weekend so I made use of some time saving ingredients from M&S. ‘Cook With’ is a delicious range of inspiring, authentic ingredients, perfect for putting together delicious meals in minutes - just what I was looking for. I wanted to make a nice winter warming dish and a tasty dessert so I decided to make a sausage tray bake and banoffee pie. 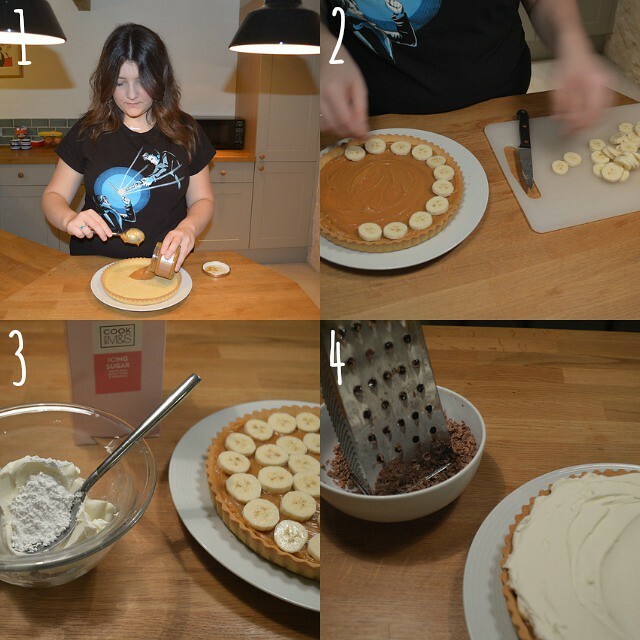 I made the banoffee pie first so it would have time to cool in the fridge and oh boy, it tasted so good. I used a whole jar of salted caramel and a bar of chocolate to make this so I knew it was going to be amazing. Grate or finely chop milk chocolate over the top, then serve. 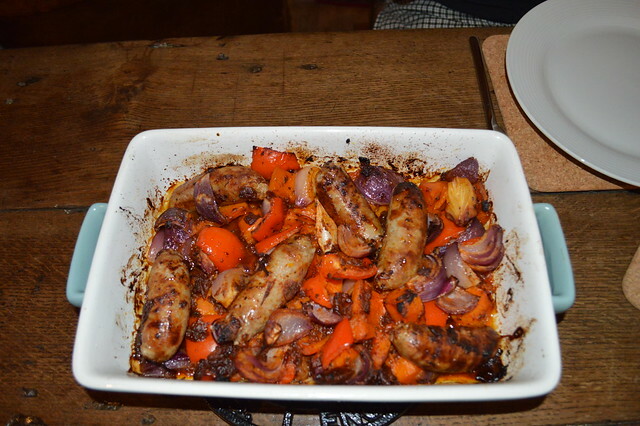 Next up was the sausage tray bake, I loved this because there was only one pan to wash at the end and once it was in the oven I didn't really need to check up on it at all. 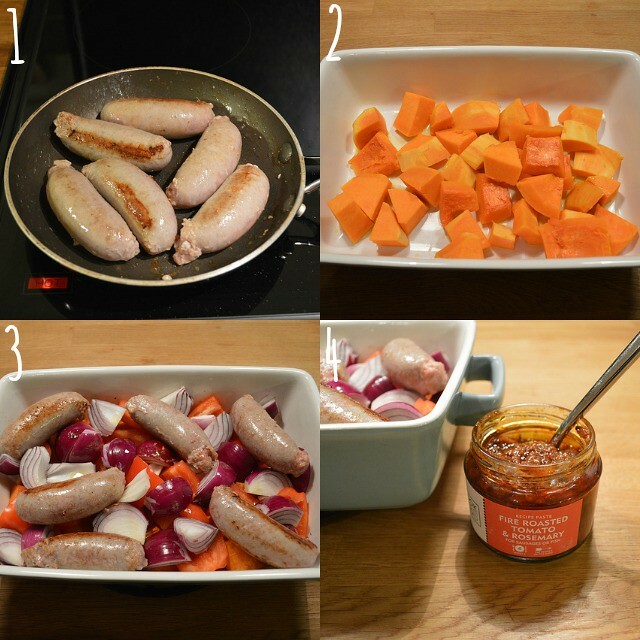 Preheat the oven to 200/Gas Mark 7 and then heat 1tbsp of oil in a pan and cook sausages until brown. Add the onions, peppers, sausages to the roasting dish. Mix in the sauce and cover with foil and bake for 15 minutes. Remove the foil for the last 10 minutes of cooking. 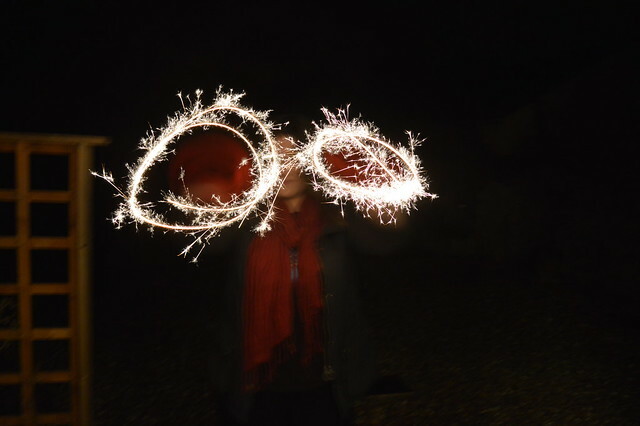 Using the Cook With range meant I had plenty of time to play with sparklers, watch DVDs and relax that night. I think the sausage tray bake and banoffee pit would be great if you're having friends and family over this week and letting some fireworks off in your garden. The tasty food was provided by M&S at St David's in Cardiff. That traybake is making my belly grumble! 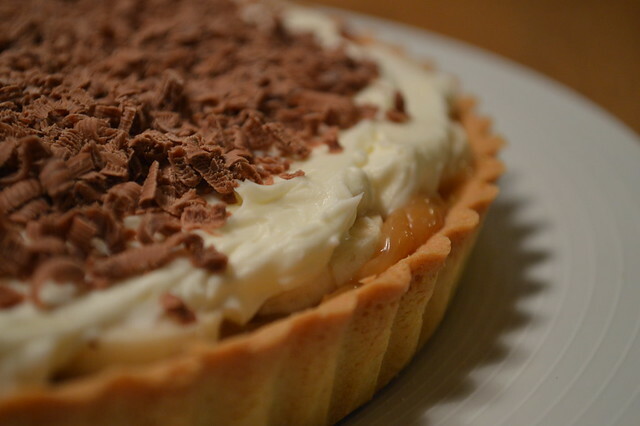 Oh my giddy aunt, that banoffee pie looks delicious! tasty and easy to make, just what I like. Such a good idea, it all looks delicious. Everything looks sooo tasty and I will be grabbing myself a jar of that caramel sauce asap! Also, I LOVE your tshirt! Where is it from?